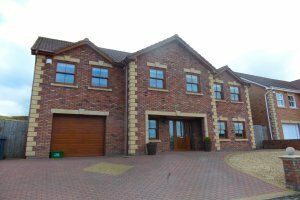 A modern detached executive style property finished & fitted to a high standard throughout situated in on residential development of individually designed houses. Number 2 Bedroom 14’0” x 13’10” En Suite Shower/w.c. 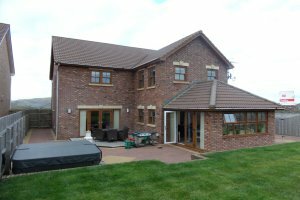 OUTSIDE : Front pavioured driveway/parking, garage, side pathway, rear decked area, rear patio area, large rear lawned garden, close boarded fencing. Entrance Hall : UPVC double glazed door & side panels, staircase, porcelain tiled floor, coving to ceiling. Study : Fitted office, coving to ceiling. Cloaks/w.c. : White suite, half tiled walls, tiled floor. Utility : Fitted base units, porcelain tiled floor, under floor heating, plumbing for washing machine, fridge/freezer, access to garage. 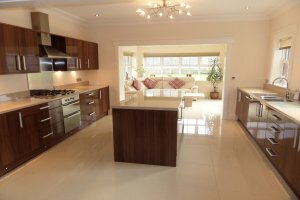 Kitchen : Fitted units, central island, gas hob, electric oven, stainless steel cooker extractor hood, microwave, integral dishwasher, fridge, porcelain tiled floor with under floor heating. 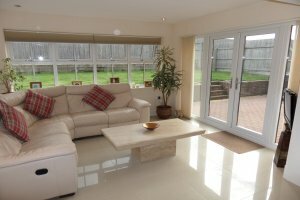 Conservatory : Recessed spot lights, UPVC double glazed French doors, porcelain tiled floor with under floor heating, blinds. 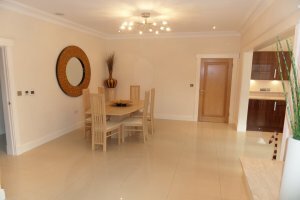 Dining Area : Porcelain tiled floor, media storage with entertainment system, coving to ceiling, under floor heating. 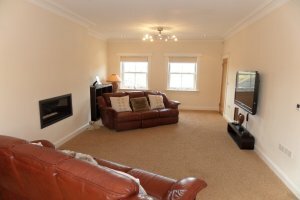 Lounge : Coving to ceiling, recessed spot lights, UPVC double glazed French doors, modern gas fire. 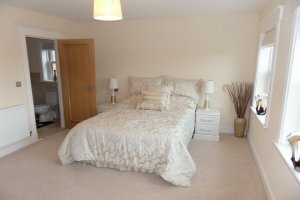 Number 1 Bedroom : Fitted wardrobes, built-in storage cupboard. 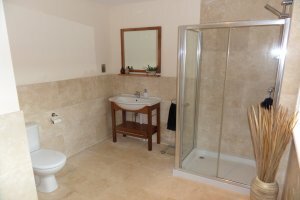 En Suite Shower/w.c. 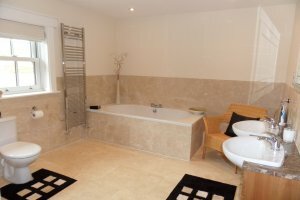 : White suite, shower cubicle with mains shower, modern basin, storage cupboard, stainless steel towel heater. 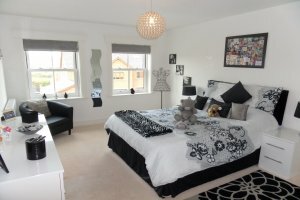 Number 2 Bedroom : Fitted wardrobes. En Suite Shower/w.c. : White suite, shower cubicle with mains shower, shaver point, stainless steel towel heater, half tiled walls. Number 4 Bedroom : Fitted wardrobes. Bathroom/w.c. 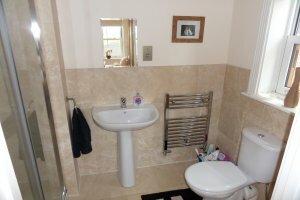 : White suite, twin wash hand basin, shower cubicle with mains shower, half tiled walls, tiled floor, storage cupboard. Price : To include floor coverings as fitted. 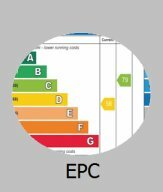 UPVC Double Glazing.